Spinach is grown for its edible leaves that can be used raw in salads or cooked as with other greens. While there are many different spinach varieties that vary greatly in leaf size, shapes and textures with colors ranging from light to dark green it is usually divided into 2 major types: Smooth or Savoy Leaf. Spinach is a cool season vegetable can be planted in the spring as soon as 2 - 4 weeks before the average date of last freeze in your area but not before soil temperatures are consistently 40 F (4 C) and above. Sow again in mid to late summer for fall-winter harvest. Spinach prefers partial to full sun. For those who would like the taste of fresh spinach all year around click this link for Growing New Zealand Spinach. 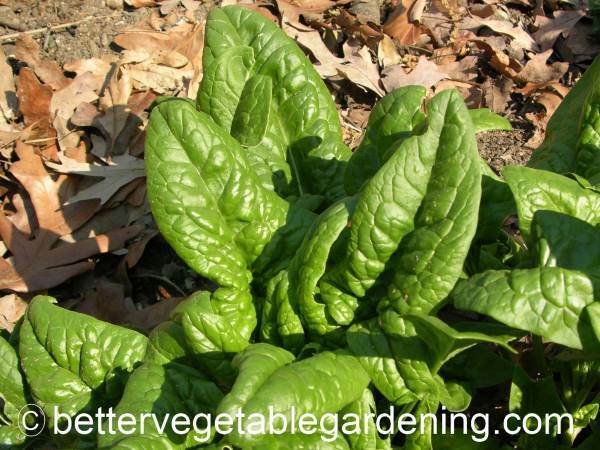 It is a warm season plant unrelated to true spinach but with a very similar taste. 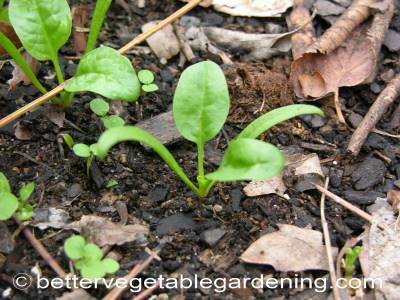 Fall planting spinach; Spinach does not germinate well in soil with temperatures going above 70 F. When sowing spinach seeds in late summer for fall/ winter harvest you will need to shade the planting area to cool the soil before planting. Spinach loves a well drained, organically rich soil. By preparing the bed with compost or well rotted manure you have set the stage for loads of quality spinach for table and storage. best planting method; Direct sowing. 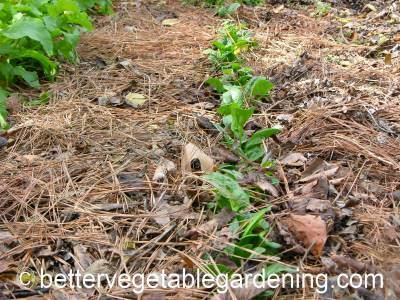 Sowing spinach seed thickly will allow you to thin the beds by picking the leaves while they are young for salads and still leaving plenty for cooking and storage. 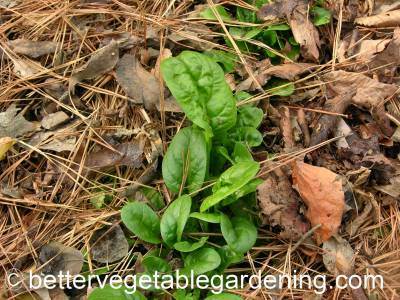 Using a sharp knife or scissors to harvest young spinach will avoid disturbing the bed. Dry soil causes spinach bolt, so ensure your spinach beds are kept moist throughout its growing season. Using mulch on the beds will help retain soil moisture and eliminate weeds. 2 weeks before sowing apply 3-4 quarts per 100 sq feet (3.3-4.4 liters per 9.3 square meters) of All-Purpose 5-5-5 Organic Fertilizer. Spinach is in the same family as beetroot and, swiss chard. Spinach is ready to harvest when the spinach leaves are big enough to pick. It is harvested by either using the cut and come again method or by cutting down the whole plant. 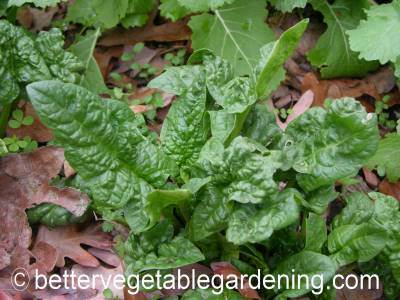 Young tender plants are good raw in salads. More mature plants are used as cooked spinach. For short term storage spinach leaves should be washed immediately in chilled water, they will keep for 10-14 days. They can also be frozen or canned for longer storage.